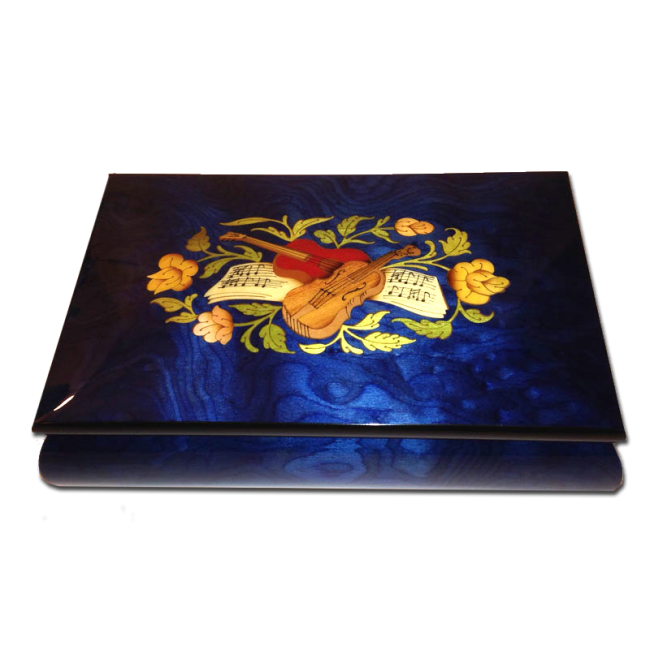 This beautiful blue traditional Instrument inlay music box has a velvet lined compartment for jewelry. 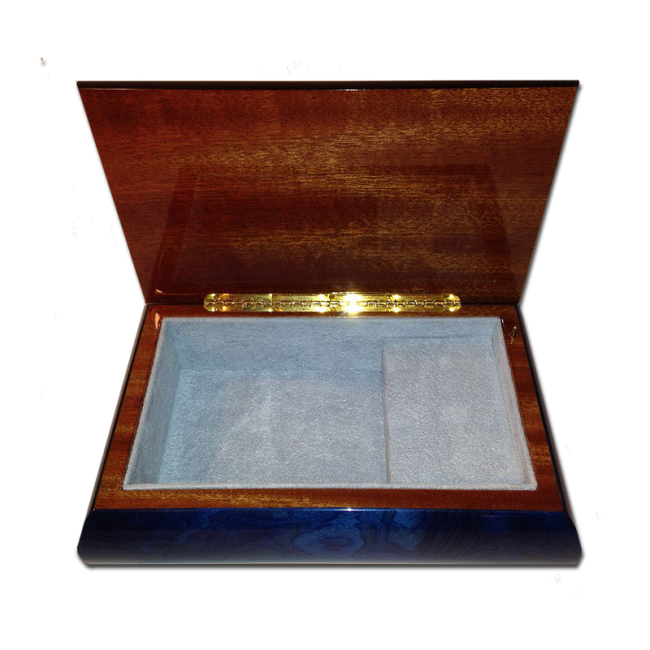 It has ebonized edge on its lid. 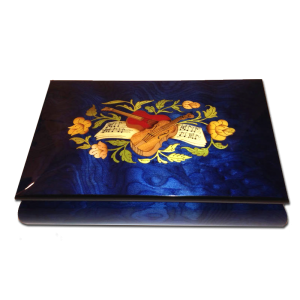 It is a glossy finish and sits on top of four wooden feet. Size: 8 1/4" x 5 1/2" x 3 3/4"